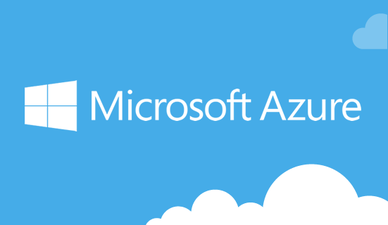 ​Microsoft Dynamics GP hosted on Microsoft Azure is quick to deploy, scalable and secure. At ISC Software, we can provide you with the full solution; licensing, deployment, management and on-going support. Microsoft Azure is becoming increasingly popular among our customer base to relocate their Dynamics GP system in the Cloud. ​Running Microsoft Dynamics GP on Microsoft Azure will provide you with a secure and stable platform, without having the concern of on premise hardware and its associated responsibilities. It provides the ability to instantly provision computing resources on demand regardless of your location. Our team has the experience to deliver a full end to end Cloud solution from setting up Azure based on a customer’s requirements, deploying Dynamics GP, and providing on-going support and system management. The benefits of Azure extend beyond accessing services on demand. It allows for a rapid but disciplined approach to scale and to make changes to your Dynamics GP system, for example; upgrading, setting up new companies or applying new custom software development. Multiple locations – access Dynamics GP from any location around the globe and add new companies on demand. Multiple devices – access Dynamics GP on Windows, Mac OS X, iOS or Android devices. Reliability - 99.95% availability and 24/7 technical support and health monitoring. Risk - backups and disaster recovery as a service built in. Security and privacy - recognised by the EU’s data protection authorities for commitment to rigorous EU privacy laws and has attained the cloud privacy standard, ISO 27018. Microsoft Office 365 and Email - use Office 365 and Outlook email as part of the solution. Best in technology – Azure will gain from continuous investment to provide customers with access to technology that is up to date and best in breed. Reduce Hardware costs – servers and other associated technical equipment like routers, backups or UPS’s no will be longer required. Annual IT support and maintenance – the lengthy task and costs associated of administering technologies such as Windows Server, Active Directory, and SQL can be greatly eased as the onus of management of these services lie with Microsoft and your partner. ​​For further information, contact us with your requirements. We can provide a one-on-one consultation by appointment. Dynamics GP is now available via subscription licensing. Pay monthly and scale your users as required. For more information, contact us today.